Impeccable 3 bedroom, 3 bath Vue condominium located in the heart of Harbor East. 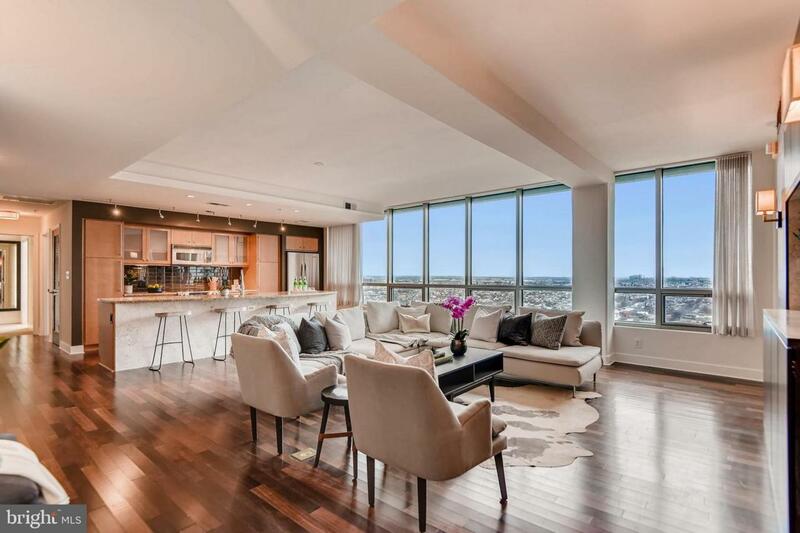 This quintessential city residence boasts over 1900 square feet of interior living space and offers walls of glass providing panoramic city and sunset views. This is an entertainer's delight and designed to impress with stunning appointments featuring an open floor plan,floor-to-ceiling windows, custom wall coverings, built-ins, designer light fixtures/sconces and rich hardwood flooring. The gourmet kitchen showcases an expansive center island, glass backsplash and stainless steel appliances. The spacious Master Suite provides a private retreat with dramatic double exposures and spa bath with separate shower and soaking tub. Two deeded parking spaces and storage convey. The Vue is a full-service high rise condominium that is just steps to the finest restaurants, boutique shops, Whole Foods, Starbucks, Inner Harbor, promenade, and nightlife.